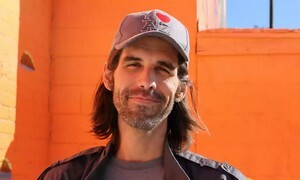 Scott Warren was arrested for trying to save lives. 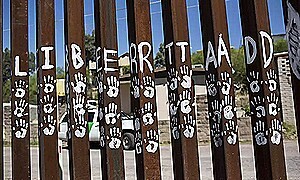 He is a humanitarian operator and member of No More Deaths, an advocacy group based in Tucson and Phoenix, Arizona, which seeks to end the deaths of migrants crossing desert regions near the US-Mexico border. containers to prevent immigrants from finding them). Once upon a time there was a law. An equal for all one, otherwise what are we talking about? Yes, what, I've been wondering that for some time. The law for all was simple: giving support to a criminal represents an equally prohibited act. Then they were all arrested, I repeat, all those who in the past voted for political leaders enriched by cheating anyone without scruples, also entire countries. Consider this too as an update, or completion of the much-celebrated right to vote: once you reach the age required, you have the right to vote... only honest citizens. Otherwise, what are we talking about? In fact, but I get there. After that, there was the arrest of anyone who had purchased products of trademarks guilty of any of the crimes typical of companies, especially corporations: exploitation of child labor, pollution, failure to respect human rights, your choice. Therefore, yet another addition to the Guide for the good consumer: think, I stress again, think carefully before buying something, or you’ll go to jail. Exactly, we all know what. Where, for example, it’s legal to send racists and homophobes to parliament, to donate audiences and lucrative clicks to mountains of violence and gratuitous offenses, to be a “keyboard patriot” sitting on an unwittingly guilty conscience of innocent blood, to be in any way a founding brick of a society that literally lives on the ashes of the world around it.